As some of you may already know, we are in the process of applying to update the current Figurenotes Software. A part of the application requires us to estimate our reach i.e how many people are using Figurenotes. With this in mind, we have launched our new project Figurenotes Collect! 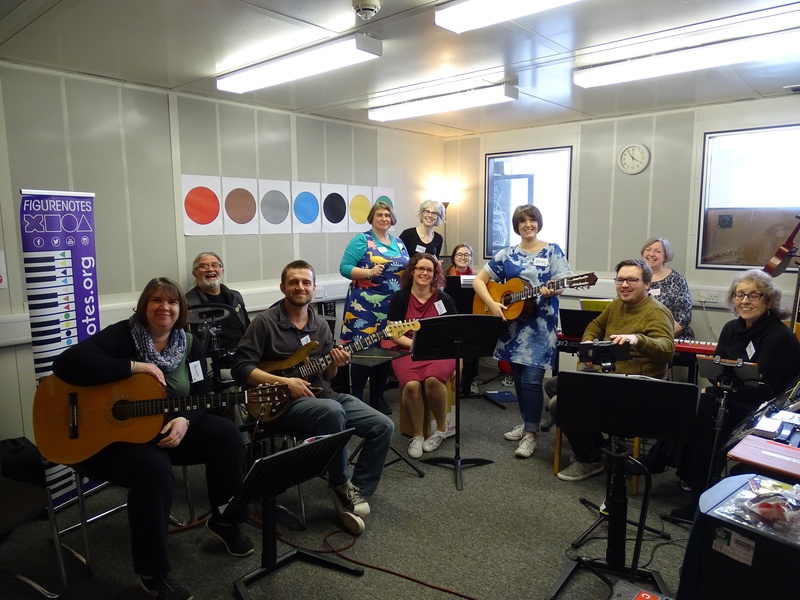 We are delighted to announce that we have been getting out and about in the Figurenotes Community, visiting projects, school, concerts and meeting some Figurenotes users. Rebecca was lucky enough to visit Teens + Ravenscroft, a unique service providing further education, life and social skills, transition to ownership of tenancies and lifelong learning, to young people who, due to their needs, would ordinarily be excluded from accessing any form of further education once they have left school. 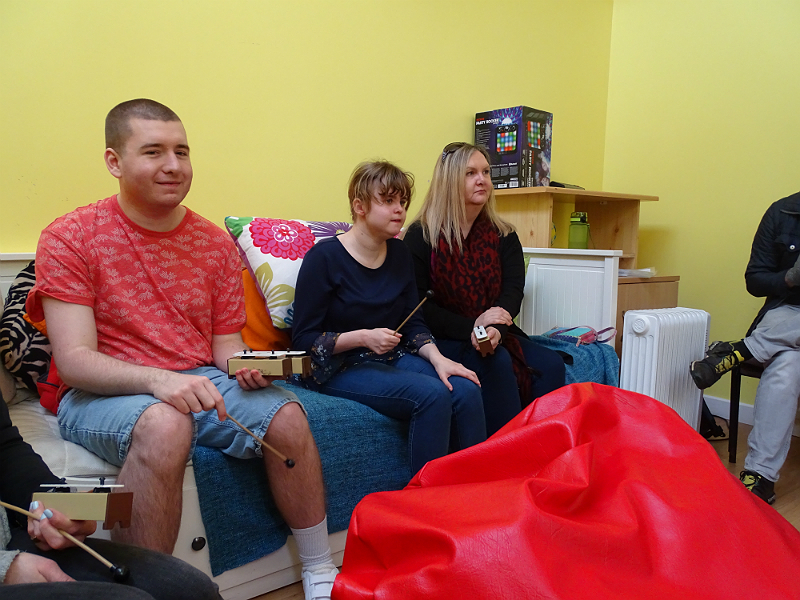 Rebecca visited one of our Associate Musicians, Fi Sharp. 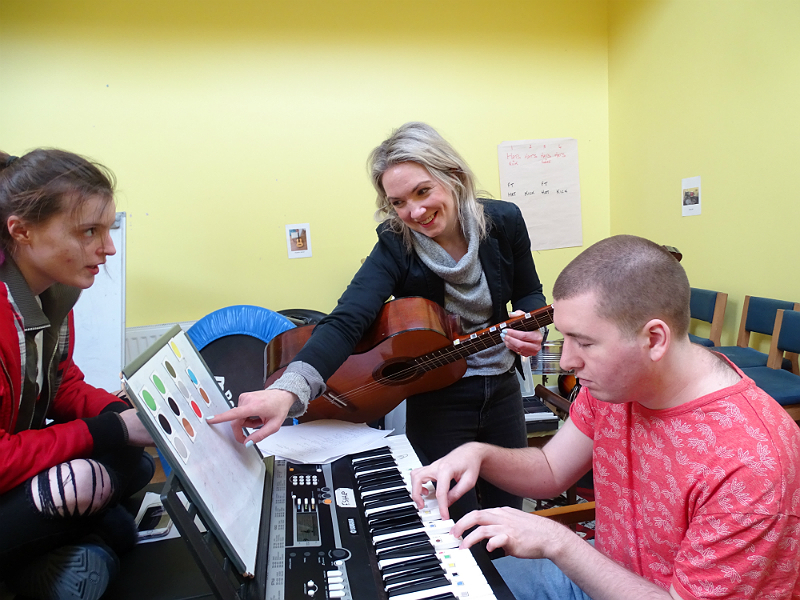 Fi leads a small group of young adults with a variety of needs, in their quest to learn and play music. 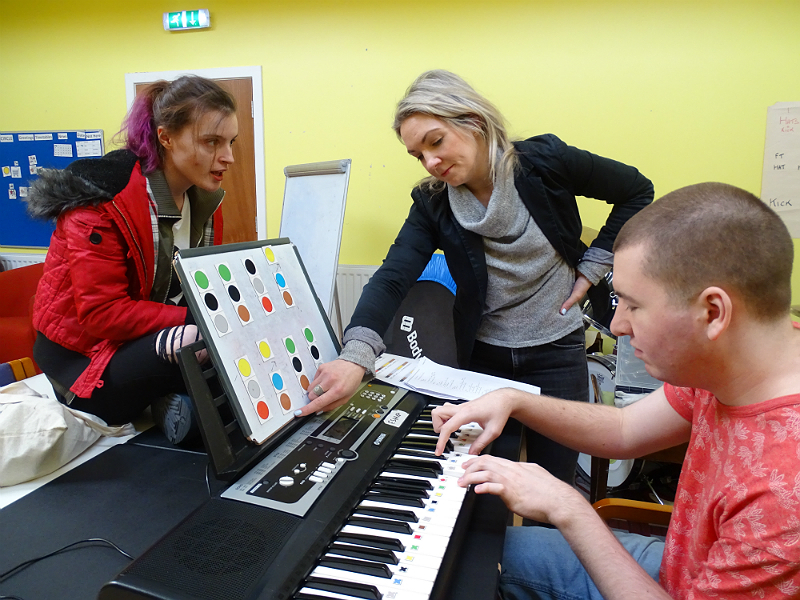 It was fantastic to see these young adults interacting with Figurenotes in different ways to suit their stage and it was a real treat to experience people of differing ages and musical abilities playing together. Big thanks to Fi and everyone at Teen+ for allowing me to come along. If you are using Figurenotes in your school/council/community project we want to hear from you! Contact Rebecca at rebeccadirollo@drakemusicscotland.org for more information or to arrange a visit. "Could we have more please!!!"